The remains of at least 26,000 people are in government custody at forensic institutions across Mexico, waiting to be identified. 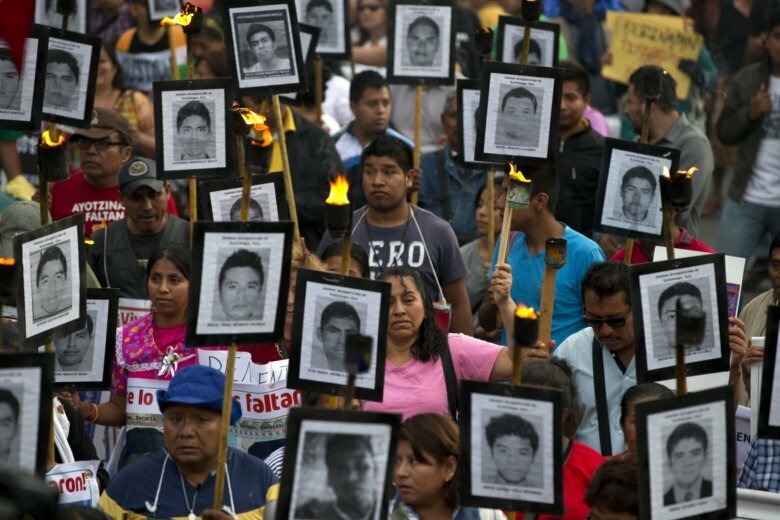 Thousands more Mexicans are missing, their bodies presumed to be in clandestine graves. President Andres Manuel Lopez Obrador said Sunday his government will allot all the resources and manpower necessary – “there’s no financial ceiling” – to identify remains and give families some sense of closure. Grotesque levels of violence are largely to blame – Mexican authorities opened 33,341 murder cases last year, the highest on record – but so are weak government institutions. “When I go on tour, when I meet families – above all mothers – they pull me, they shake me, they cry. I bear it all because I know what they are suffering without their children and their loved ones,” he said.